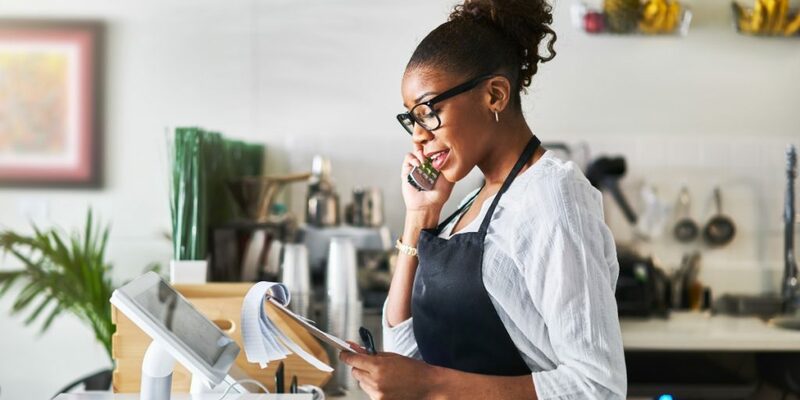 Food News Feed states that one of the first things you need to do when starting up in the restaurant business is construct a detailed business plan that charts the course of your success. You should check this document regularly to help you plan for growth and measure your progress. Your business plan will need to include market research and a thorough look at your competitors. Make sure that you carefully research popular restaurants in your area, try to figure out what appeals to customers and why people go there. You should then bring this to your own restaurant, or go one better and do something unique that no one else offers. There is a lot of competition in the restaurant business so standing out is a great way to bring in customers. Choosing the type of cuisine your restaurant will offer is one of the more important things to consider when starting up your own restaurant. The ideal restaurant menu offers a balance of unique dishes and old classics that never go out of style, such as pizza and burgers. You want to intrigue customers with new takes on food they are comfortable eating. This is why so many restaurants offer dishes like loaded burgers, with a variety of different and often unusual toppings that customers can choose. Conduct market research and find out what type of food is popular with the people in your local area. Food Magazines and cooking channels are also a great source for finding out what food is popular. Also remember that there are a few menu must-haves that you should include, such as options for vegetarians and vegans, and children’s options so that families can dine at your restaurant. A restaurant’s location is as crucial to its success as great food and customer service. You need to do a lot of research to check that a particular location has the right requirements to be a successful restaurant. Firstly, it is important to make sure that your restaurant can be easily spotted from the street and is easily accessible to customers. Your parking space is also extremely important, as you will lose business if a customer cannot find a place to park. You also need to look at the history of the site – check whether any other restaurants have opened and closed in the same spot. If this is the case, then it may suggest that this is not an ideal location to set up your restaurant. One of the best parts of opening your own restaurant is the opportunity to let your creativity flow. You can design a unique restaurant and bring your vision to life. According to furniture experts Eclipse, creating a memorable experience (for all the right reasons) depends on a variety of factors, including food, décor and comfortable restaurant furniture. You want your customers to feel comfortable and enjoy their meals, along with the ambience of your restaurant. When designing your restaurant, you need to consider your target audience. What appeals to families with young children may not necessarily appeal to young, single office workers looking for dinner and a drink after work. Determining your target audience will help you decide things like seating arrangements, decor, furniture and so on. When deciding on your retail price, you need to consider your target audience and the type of cuisine you are offering. Business News Daily explains how to reach the right target customer and the importance of this. Customers eating in a high-end steakhouse will expect to pay much higher prices than they would in a fast-food style burger restaurant. Your customers want to feel that they have received good value for money. You should do research on local restaurants offering similar cuisine, to make sure that your menu prices are competitive. Running your own restaurant can be a lucrative business, offering the freedom to be your own boss and enjoy your passion for food and people. However, it takes a lot of hard work and it is important that you consider all of the above and carefully plan your new business venture to ensure the highest chance of success. Thanks to Ella Hendrix for this guest blog.